Cyprus’ waters are perfect for scuba diving, year round! They are warm, clear, calm and very safe. Our favourite dive centre, Cyprus Diving Adventures in Pissouri Village, is headed up by Steve Ford who offers our guests a 10 – 20% discount (depending on group size) and a brilliant free visiting service and free pick up and drop off service. So there are no excuses not to get your wet suit on, dive in and try an exciting new activity! Check out Steve’s blog post where he tells us all about the different highlights of diving in Cyprus in spring and summer seasons HERE. MyCyprusInsider has put together a Spring festival guide that highlights some really cool events that are coming up in the next couple of weeks, and there really is something for everyone. These are 5 very varying events! 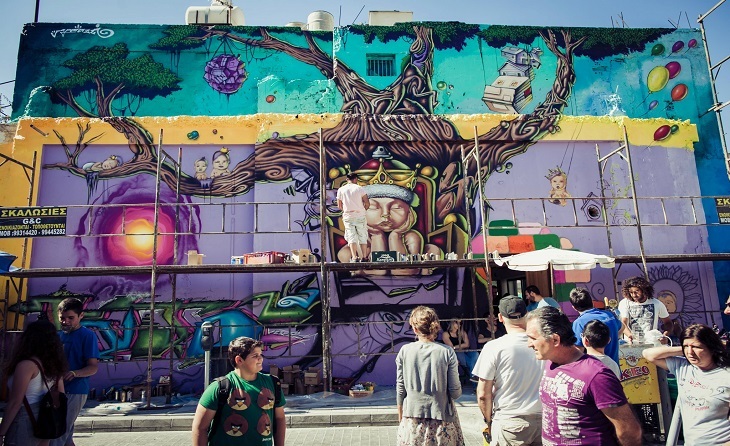 A film festival, a tulip festival, herbs & donkey festival, fairy festival and a street life festival….only in Cyprus! Check full details HERE. Looking for the perfect way to spend your Sunday afternoon? Haris and his team at O’Vrakas Taverna in Pissouri are starting up their weekly Sunday lunch BBQs again from tomorrow – guaranteed delicious food, friendly service and great music. Take your time as you savour the all-you-can-eat grill and salad bar, for just €20 per person! Call to book your table: +357 99 312 443. More details HERE. Great news! Papantoniou Supermarkets have entered into a cooperation agreement with Sainsbury’s to sell the British retail giant’s products in Cyprus. The agreement was announced in Nicosia on Wednesday 13th March 2019 in the presence of Sainsbury’s director of business development Michael Luck. Read the full article on in-cyprus.com. This Monday, 11th March, is a national public holiday known as ‘Green Monday’ or ‘Clean Monday’ and is the day that officially marks the start of Lent. As the first day of fasting for Lent, it is tradition to feast on veggies and other fasting foods (including lagana bread). It is a day to be outdoors and the best part is the tradition of flying kites, so this Monday…look up! Learn more HERE. Aphrodite Hills has a programme of activities taking place on Monday – click HERE for full details.